“GO, TELL IT ON THE MOUNTAIN,” sang attendees of the Aldersgate Hymn Festival on May 21, 2011, although it was nowhere near to Christmas yet. is well-loved hymn was aptly chosen as it tied in with the theme of the Aldersgate Convention – “Go and Tell: Proclaiming the Gospel Today”. It exemplified what Bishop Dr Robert Solomon meant when he shared that singing hymns could be both evangelical (speaking of the Gospel of Jesus) and evangelistic (seeking to reach souls). He encouraged all gathered to sing because of who God is and what He has done. The 2011 Hymn Festival, organised by the Methodist School of Music (MSM) as part of the Aldersgate Convention, began with an unusual request: Attendees were asked to refrain from clapping or applauding at any time during the event. The Bishop explained that this was to ensure all glory went to God, as He was our only audience that evening and all of us, congregants included, were to sing to Him rather than to anyone else around us. With this focus in mind, the festival began joyously with the bright peals of handbells by the MSM Ringers. ere followed a series of hymns interspersed with Scripture read aloud, tracing the story of Jesus from birth to ministry to death and resurrection, with the promise of His return. 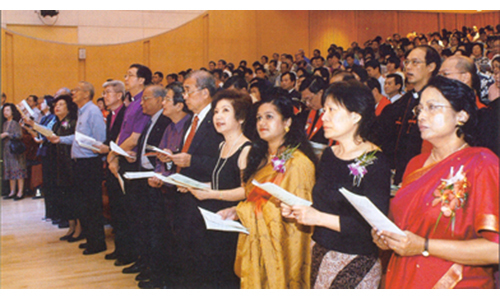 The hymns sung during the festival originated from diﬀerent places worldwide, including England, Singapore, Korea and Malaysia to name a few, and were a subtle reminder of unity with our Methodist brothers and sisters of diﬀerent peoples. Some of the familiar favourites such as “Christ the Lord is Risen Today” (UMH 302) were sung with much gusto by the attendees. The singing was strongly supported by the Festival Choir, consisting of choir members from 13 churches as well as the MSM Choir. 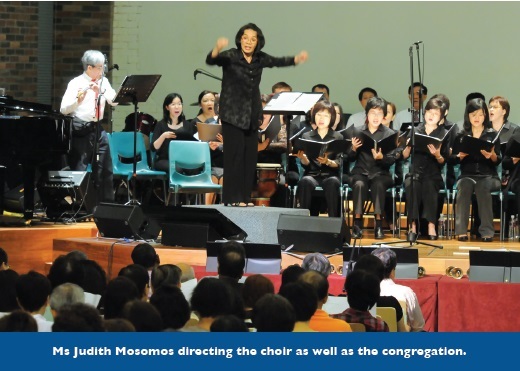 Ms Judith Mosomos ably directed the choir as well as the congregation where necessary. This year’s Hymn Festival saw greater lay participation with ordinary church members leading in the service. A meditative moment was aﬀorded when congregants were directed to silently read a reflection written by the Bishop on the first page of the programme book, and to respond by writing and submitting their thoughts on cards that had been provided. The meditative atmosphere continued with responsive prayers and the collection of oﬀering, during which instrumental versions of well-known hymns such as the all-time favourite, “And Can It Be at I Should Gain” (UMH 363) written by Charles Wesley, were played, prompting the congregation to sing along softly under their breath. The Bishop then charged us to “Go and Tell” others about God’s deeds and salvation, which was the running theme throughout the Aldersgate Convention 2011. 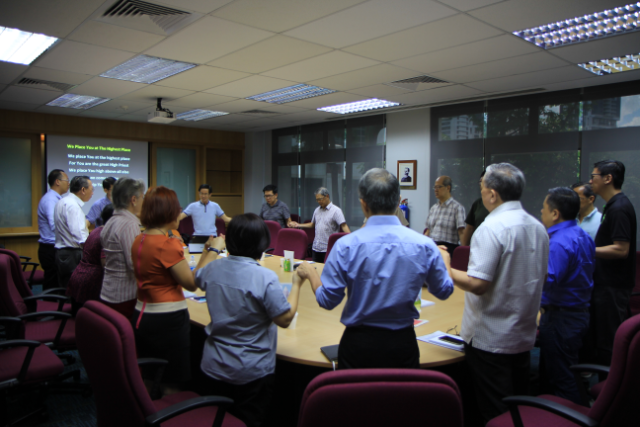 He also shared his prayer for Singaporean Methodists to grow from being God’s people “sinning along the way” to being God’s people “singing along the way” – an apt close for the Hymn Festival 2011. 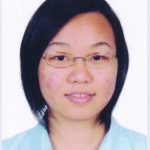 MS GRACE TOH WAI YAN, 26, has joined Methodist Message (MM) as an Assistant Editor. 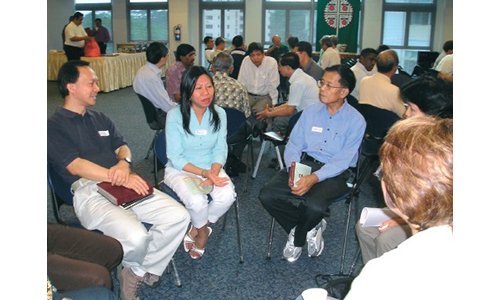 She will initially assist the Editor in gathering and writing news articles for the oﬃcial monthly newsletter of e Methodist Church in Singapore. Ms Toh graduated from the National University of Singapore with a Bachelor of Social Sciences (Hons) in 2007. She received her primary and secondary education at Fairfield Methodist School (Primary), Methodist Girls’ School and Anglo-Chinese Junior College. She worships with her family at Kampong Kapor Methodist Church, and serves as the Coordinator of the Young Adults Fellowship alongside a dedicated Core Team.